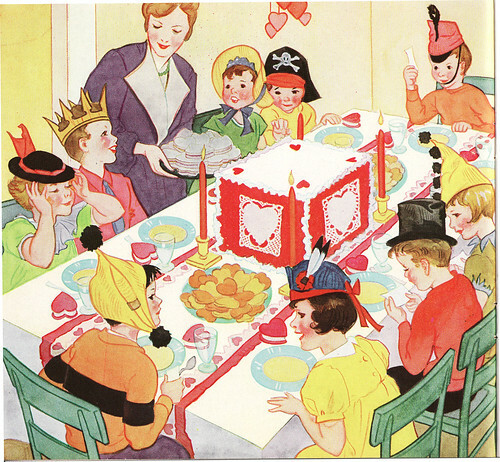 Here is another couple of pages from my much loved 1935 booklet Children's Party Book. 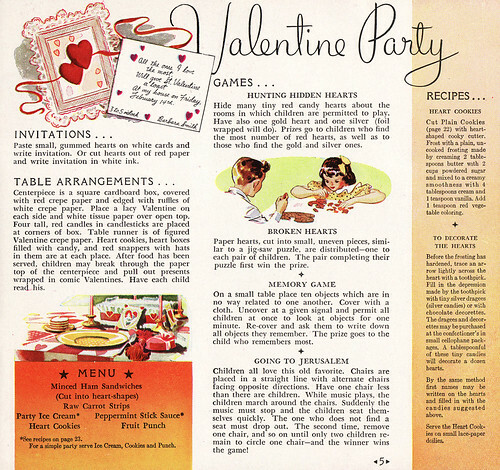 I thought I would post this now just in case you are planning a Valentine's Party and need some ideas. I love all the hats. Seems like wearing hats like this makes something an instant party. Click on the image to get to the Flickr page and a to be able to see a larger view.